A direct replacement for any guitar equipped with the “Tune-o-Matic” bridge and Stop Tailpiece, this innovative solution allows for extremely fast and precise individual string height “action” adjustments as well as accurate individual intonation adjustments. There are no gaps or voids to inhibit the transference of the vibration of the string and the resonance of the body. The “Full Contact Hardware” direct coupling replacement system for “Tune-o-Matic” style bridges mounts directly to the top of the guitar, therefore unwanted spaces between the bottom of the bridge and the top of the guitar are eliminated. 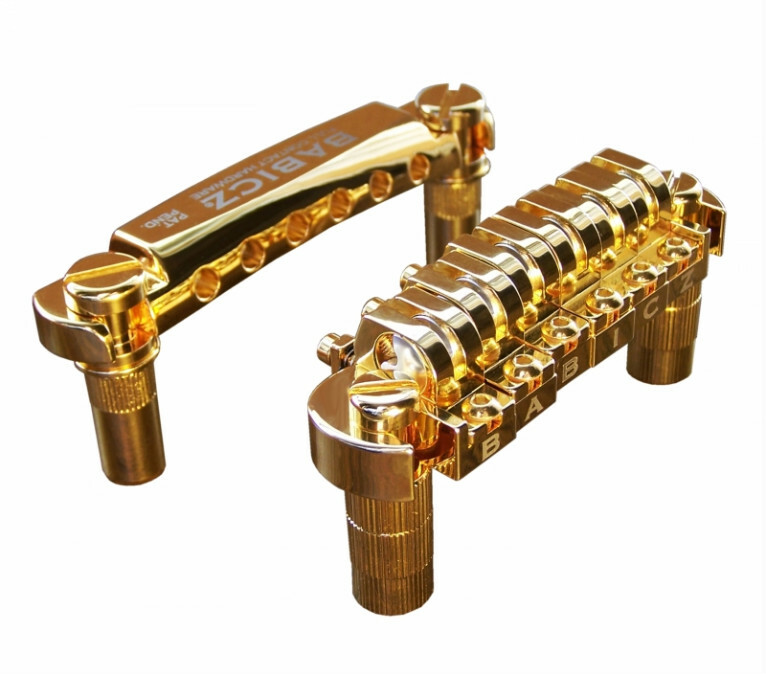 The Babicz “Full Contact Hardware” system for “Tune-o-Matic” style guitars offers unmatched stability, increased sustain, dramatically improved fullness and tone along with complete adjustability.